In what definitely seems like a good sign for how somebody’s night at the Academy Awards will go, the Directors Guild Of America announced the winners of its annual DGA Awards last night and now two filmmakers are walking away with pretty good Oscar odds. The DGA is usually a good predictor for the directing category in the Academy Awards, but two of the top DGA winners this year—Guillermo Del Toro and Jordan Peele—are also up for Best Director at the Oscars, meaning it could go either way (or neither way, really) in March. 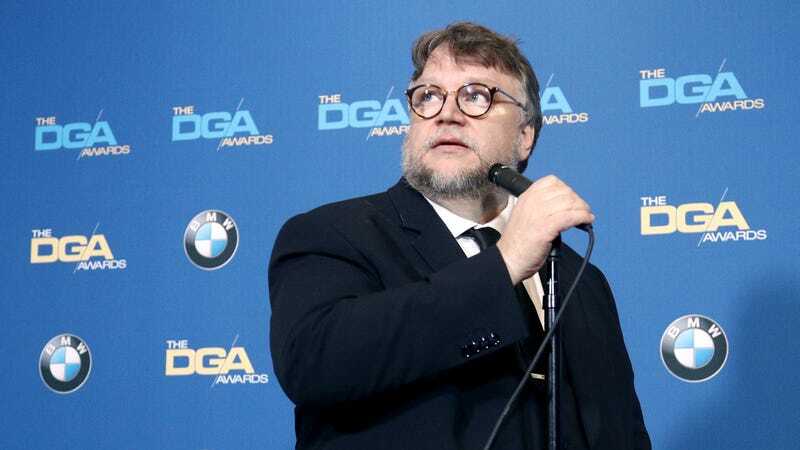 Del Toro won at the DGA Awards for Best Feature Film Director, beating Peele, Christopher Nolan, Greta Gerwig, and Martin McDonagh, while Peele took home the award for Best First-Time Feature Film Director. Over on TV, The Handmaid’s Tale’s Reed Morano (who recently had a mysterious meeting with Kathleen Kennedy) won for Dramatic Series, Jean-Marc Vallee won in the TV movie/miniseries category for Big Little Lies, and Beth McCarthy-Miller won Comedy Series for Veep. Most of the winners are below, and the full list can be found at The Hollywood Reporter.